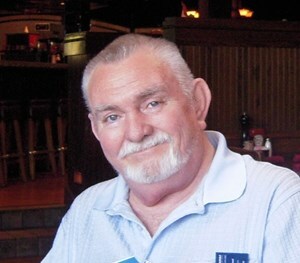 Tom Peavler, 78, Waverly, passed away Sunday, April 7, 2019 at Midland Hospice House in Topeka. Tom was born April 11, 1940, in Muskogee, OK, the son of Claude and Flossie (Hisaw) Peavler. He graduated from Central High School in Muskogee and Northeastern State College in Tahlequah, OK.
Tom married Nancy Coleman on December 17, 1960. They had three children and later divorced. He married Deb Bloom on June 2, 1997. She survives. Other survivors include sister Ruth (Jim) Gordon of Oklahoma City, son Tom of Harrisonville, MO, daughter Tricia of Alexandria, VA, daughter-in-law Susan, stepdaughter Mindy White of Houston, TX, four grandchildren, April, Shawn, Annie and Trey, and three great-grandchildren. He also opened his home to several teenagers including Karl McWilliams and Janette Gandy. He was predeceased by son Tim, and granddaughter Tori. He taught English and Spanish in the Waverly Public School District for 30 years, retiring in 1994. He worked as a substitute teacher in Waverly and surrounding schools for many years afterwards. Tom loved the English language and taught grammar and poetry and Shakespeare to generations of students. He wrote several books. He was natural born storyteller and had jokes for every occasion. He loved playing the guitar and singing, playing in a band for several years and providing music for the residents of Sunset Manor during his retirement years. Tom loved sports and competition. He was big supporter of the Waverly Bulldogs, announcing football games, keeping the basketball books, and writing sports stories for the Waverly Gazette. He played softball for Waverly teams for many years. A keen card player, he was active in Garnett and Emporia bridge groups until his last weeks. The competition he loved most was man against fish. He spent many hours tramping around ponds, rivers and lakes in pursuit of the next big catch. He was a member of the Unitarian Universalist Church. Memorial services will be held at 10 a.m. on Tuesday, April, 9 at the Waverly Community Center. Memorial contributions may be made to the Waverly Booster Club. Add your memories to the guest book of Tom Peavler. We very much enjoyed playing bridge with Tom in Garnett. He always had a joke or a story to tell. He and Charles liked to discuss difficult hands and how they should be bid and played. We will miss him at the table. Mr. Peavler was a one in a million. Everything said above is true and correct. I learned a lot from him in school and out. Will be missed. Thanks for the memories!